Today is World Lion Day, an annual day when the world celebrates ‘the king of the jungle’. While the Disney animated film and now award-winning musical ‘The Lion King’ introduced young ‘Simba’ to a worldwide audience, World Lion Day raises awareness of something drastically more sombre than the ‘Hakuna Matata’ narrative. Long considered the undisputed ‘king’ in Africa with over 200,000 freely roaming the land just one hundred years ago, the African lion is now considered one of the most endangered species on Earth, with only 23,000 remaining according to estimates. In fact, 15 African countries have already declared them extinct. Even though the mighty lion is such a big part of our human consciousness, World Lion Day reminds us about the imminent risk of forever losing this species. From ‘Cecil’ the lion to recent reports indicating more lion hunting permits have now been issued under the current US administration’s rollbacks on protections, you would be forgiven for thinking that it’s all doom and gloom for lions. While millions are at risk, there are happy stories that will brighten your day. One such story just came to a very happy ending. Last October, a young lion cub dubbed ‘King’ was rescued from a French apartment after authorities discovered that he had been living in terrible conditions and was being kept illegally. At the time, King was only a few months old and was being neglected and abused by his owner. Thankfully, King was rescued and moved to Natuurhulpcentrum, a wildlife rescue centre in Belgium that specializes in rehabilitation of sick and injured wild animals, where his story took a positive turn. During this time, the Born Free Foundation, an international conservation and animal rights organization, launched an appeal to move King permanently to their big cat sanctuary in South Africa, located in the Shamwari Game Reserve. In partnership with the Born Free Foundation and Shamwari Game Reserve, Lion World Travel – a Canadian-based travel company specializing in affordable luxury safaris in Africa – took action and helped by sponsoring King’s journey back to South Africa where he would receive lifetime care at the Big Cat Sanctuary at Shamwari Private Game Reserve in the Eastern Cape. The Canadian operator’s support stemmed from its long-standing commitment to protecting Africa’s big cat populations. Their partner in sustainability initiatives, the TreadRight Foundation, also proudly supported King’s journey as a part of their Big Cat initiative, a new program aimed specifically at conserving the world’s big cats for generations to come. After a two-day journey on Kenyan Airways, King arrived at Shamwari on July 7, 2018. He was greeted by the experienced teams at the Born Free Centre, led by Catherine Gillson, and Shamwari, including veterinarian Dr. Johan Joubert. When animals arrive in new environments there’s a lot of uncertainty about how they will react. However, all reservations of King’s transition were quickly laid to rest when the wildlife team opened the crate and King burst into his new home running and leaping through his new environment immediately. It was a truly magical moment for everyone involved and it was captured beautifully in this video below. BFF_KING_RELEASE_RC2_CC_LR_H264 from Hungry Bison Films on Vimeo. If you’re among the many Canadians who have always wanted to witness lions, such as King, in their natural habitat, you’re not alone. While safaris have always been a popular travel experience, more and more people are starting to take the plunge and check it off their lists. Africa, the vast and diverse continent, remains one of the only destinations where travellers can still find swaths of untouched wilderness and animals – untouched by human activity. But how do you prepare for such an adventure? To help, we asked the team at Lion World Travel, one of North America’s largest tour operators to the continent of Africa with over 50 years of on the ground experience, for their expert tips on what to do and not do on your first safari outing. “Dressing in layers is one of the smartest things you can do to prepare for safari. 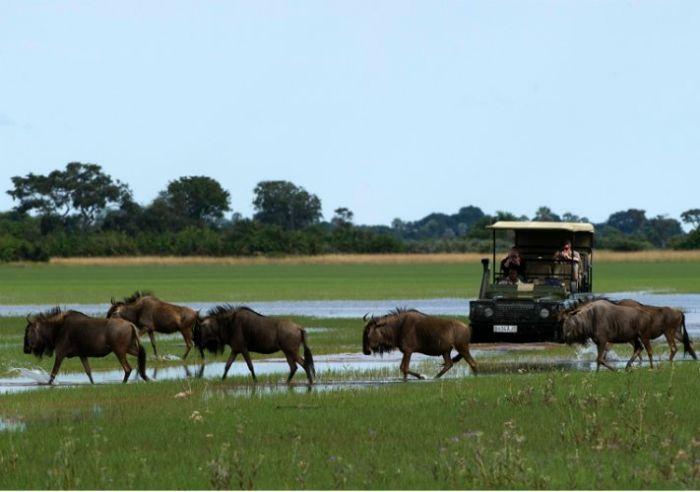 On most of our safari vacations, you will enjoy a morning and afternoon game drive, each lasting upwards of three hours. Morning drives often start out cooler, but get progressively warmer, while afternoon drives start out warm and get cooler over time. Wearing layers of clothing such as light jackets, sweaters and multiple shirts maximizes your flexibility to adapt to the temperature during your safari,” says Cris David, President of Lion World Travel. Your rangers and guides are experts in the local flora and fauna. During your safaris, your rangers will use their keen safari senses to track animals and they will enhance your experience by sharing fun stories and interesting information about the region and its wild inhabitants. It pays to listen. 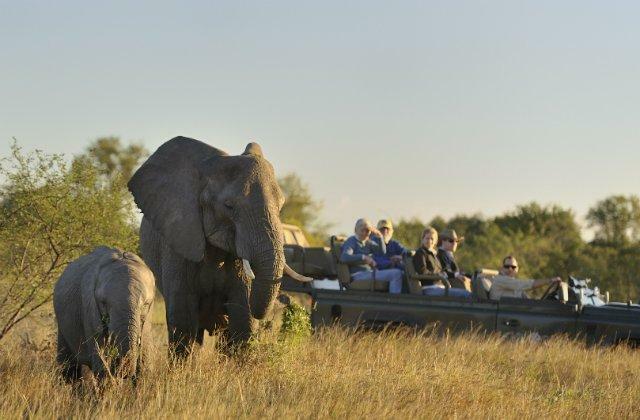 It is understandable that you will be excited to go on your first safari. After all, seeing Africa’s majestic wildlife in their natural environment is an experience unlike any other. That being said, both Cris and Lucille remind us that it’s important to note that you will have the most enjoyable safari experience when you take the time to relax and enjoy the quiet surprises that the bush offers you. After all, no two safaris are ever alike and part of the thrill of safari is not knowing what animals or scenes await you on your game drive. So, sit back, relax and enjoy the show! Having been on numerous safaris over the past years, you can say Lucille has her packing down to a fine art. If this is your first safari, she recommends that you bring the essentials: sunscreen, insect repellant, sunglasses and a hat are all great items to have on hand to ensure you have a comfortable time in the bush. For more on her expert packing tips, check out her in-depth guide. While you don’t need to stick to traditional safari colours (khaki, tan, etc. ), avoiding overly bright clothes is useful as it will help you blend into the environment and not impact your game viewing experience. By keeping noise levels down, you will increase the chances of seeing more animals on your game drives. Cris explains that this is because animals in the wild are easily startled by sound, so a vehicle of loud travellers is more likely to encourage those animals to retreat from view. Your safari vehicles have limited space for bags or other large luggage items. Small, soft sided bags work best as they give you something to store your safari essentials such as hats, sunscreen, cameras and binoculars without taking up too much room in the vehicle. If you’re interested in checking up on King, you can see him in person on Lion World Travel’s 10-day ‘Tented Safari in Style’ adventure. You’ll spend three nights at the Shamwari Game Reserve where you will have the opportunity to visit King’s forever home at the Born Free Big Cat Sanctuary.